This chapter deals with the question as to what extent the sovereignty of a coastal state in its territorial sea may be restricted or set aside to permit unhindered passage of foreign vessels through this zone. In its attempt to find an acceptable solution to the conflict of interests inherent in this question, the Convention uses the concept of innocent passage. The term "innocent passage" is vaguely described rather than precisely defined. Transitory navigation through the territorial sea -passage - must not be prejudicial to the peace, good order or security of the coastal state. A catalogue of activities can be used as a guide in determing whether passage is innocent or not. 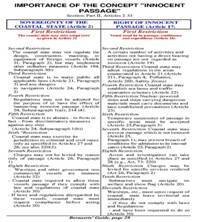 With the exception of a general clause which reads, "any other activity not having a direct bearing on passage", the clauses cover activities which pose a serious and unacceptable threat to the coastal state (e.g., practice with weapons, wilful and serious pollution). The general clause must be read with this in mind and applied only in the case of a threat which, while not specifically listed, would be of a weight equal to that of the activities given. 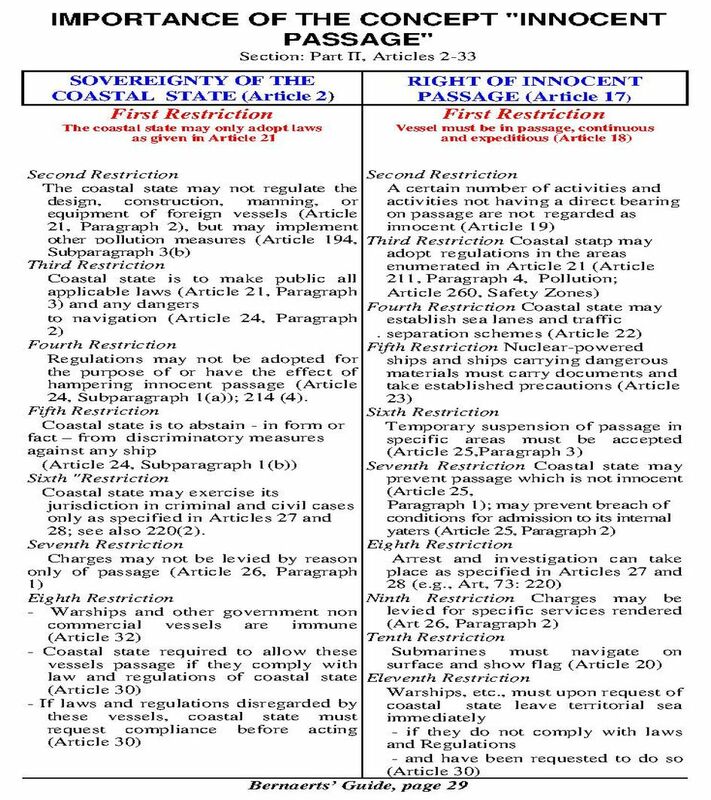 In addition, the general term "innocent passage" must be interpreted and applied in the light of national law which has been implemented by the coastal state. 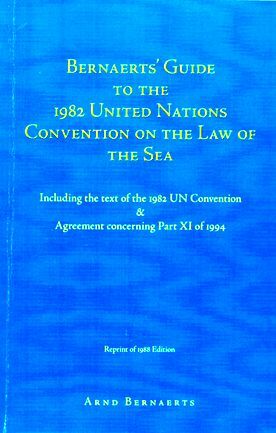 Every coastal state can adopt laws regarding the safety of navigation, laying of submarine cables, resources, fishing, environmental protection, scientific research, prevention of infringement of customs, fiscal, immigration, or sanitary laws and prevention of pollution as well as implement sea lanes and traffic separation schemes or suspend temporarily the right of innocent passage in specified areas of its territorial sea, subject only to the restriction that any such measures must be in conformity with the Convention and international law relating to "innocent passage". 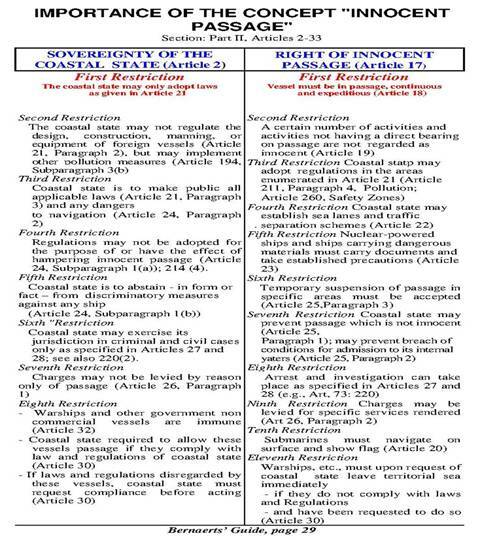 The sovereignty of the coastal state in establishing law is also limited to the extent that the imposed requirements may not have the practical effect of hampering, denying, or impairing the right of innocent passage or discriminate against the ships of any state or against ship's carrying cargoes to, from, or on behalf of any state.